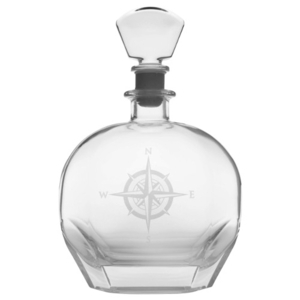 Nautical theme decanter. Compass Rose features a vintage nautical design. Every Captain Jack pirate needs a whiskey decanter. Deeply sand etched and sparklingly polished. Dishwasher safe, etched Whiseky Decanter.